I’m going to let you in on a Tokyo secret: there’s a revolution going on here. A coffee revolution. The Japanese are seasoned coffee drinkers. The beverage has been mainstream popular since the 1960s. It can now be found in every home and workplace as well as on every other corner (hot canned coffee from a vending machine, anyone?). If you’re interested in delving into the history of coffee in this part of the world, check out this terrific Tofugu blog post on the topic. 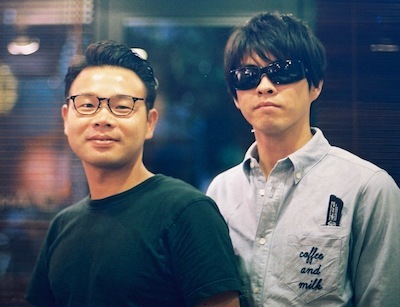 The latest chapter in the annals of Japanese coffee is the arrival of Third Wave Coffee. As with all revolutions, this one has been led by the rebels, the risk-takers, the outsiders. Their attitude is grassroots and their movement has been bottom-up. United by the shared goal of educating Japanese coffee drinkers about the finer side of coffee, they’ve grouped together to form a close-knit community of coffee connoisseurs. I know all this because Yoshi, my other half, is one of them. Trained in Australia, he arrived on the Tokyo coffee scene almost a year ago and was welcomed with open arms. This – the emphasis on solidarity over competitiveness – strikes me as one of the major differences between the two countries. The movement has really kicked into gear in the last 18 months, and sometimes it feels like there’s a new place opening up every other week. In my list of favorites below, the oldest of the bunch, Be a Good Neighbor, just celebrated their second birthday. It’s super exciting, especially if you love coffee as much as I do! 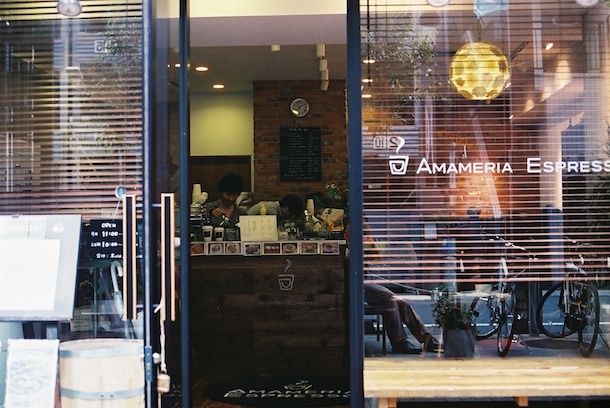 So, next time you’re in Tokyo, and in need of a cup of coffee, check one of these places out. You’ll be supporting a group of passionate, coffee-obsessed change-makers, and the advancement of Japan’s Third Wave. Oh, and the coffee’s pretty darn tasty too! Interesting! We see this kind of thing happening in China to a smaller scale. Fisheye Coffee imports Ritual Coffee from SF and Oceans Ground at U-town Mall, Beijing has a pretty great rep for all its artisanal brews and variety. Though problem is, none of this comes cheap. Easily $7+ for a latte! Fantastic to hear that it’s happening in China too! These kind of movements are super interesting and invigorating, even for the innocent bystanders! $7 for a latte though – eek!! Thanks for the fantastic feedback, guys. Anything outside of Tokyo? Kyushu or Nishi Nippon by chance? I don’t get up to the Kanto area much. Hello again! Be A Good Neighbor’s coffee supplier is called Voila. Their site is at http://www.inouecoffee.com/ and they list a bunch of places that they supply to there. I’d love to hear if they’re any good if you end up checking them out. I’ll let you know if I find out more. Thanks for your great post. We are two Australians (+ 2 kids) living in UK. We are heading back through Tokyo on the way to visit family in Sydney in December. I am stuck as to where to stay area wise. We would love to be in an area that ideally has cafes (hence the search that came up with this), bookshops but also access to explore (albeit tamely with kids) Tokyo. Could you be so kind as to helpfully recommend anything or any helpful books? I have found your posts delightful thank you.